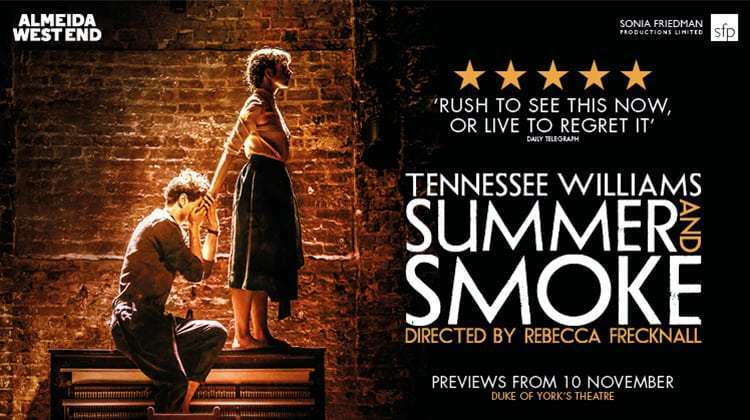 Tennessee Williams’ Summer and Smoke comes to to the West End for a limited season at the Duke of York’s Theatre. An intoxicating and rarely staged classic, Summer and Smoke transfers to the West End following a sold-out and critically lauded run at the Almeida Theatre. With ‘spellbinding, stripped-back staging’ (Financial Times), this intoxicating classic about love, loneliness and self-destruction evokes the simmering passions of a sweltering summer in small-town Mississippi. 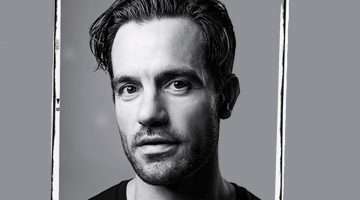 Directed by the Almeida’s Associate Director Rebecca Frecknall with the full cast reprising their roles for the West End run, this innovative new production of Summer and Smoke is not to be missed. Summer And Smoke is booking from 10 November 2018 until 19 January 2019 at the Duke of York’s Theatre, London. The girl who said ‘no’ – she doesn’t exist anymore, she died last summer – suffocated in smoke from something on fire inside her. Trapped between desire and a life of obligation, Alma meets John and her world turns upside down. The cast features Seb Carrington, Nancy Crane, Patsy Ferran, Eric MacLennan, Forbes Masson, Matthew Needham, Tok Stephen and Anjana Vasan. Why book Summer And Smoke tickets with us?